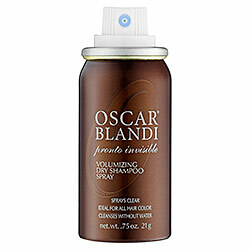 Create your own beach waves styling hair spray with this easy D.I.Y. recipe! 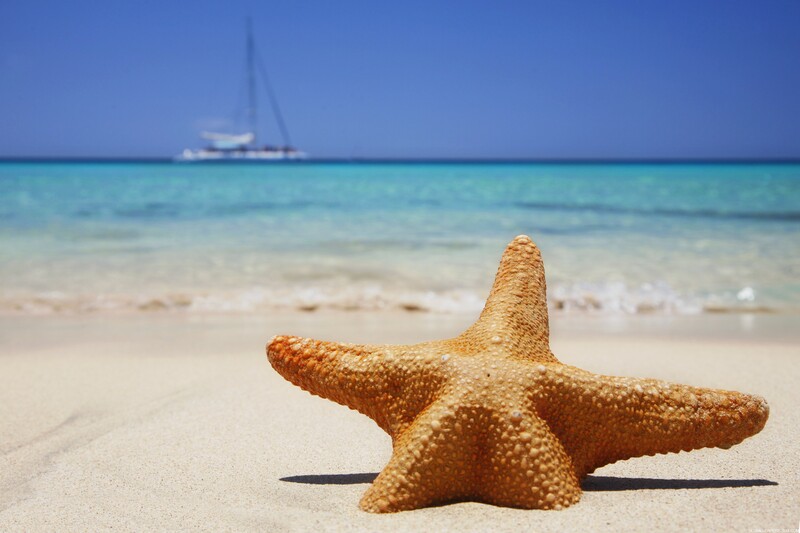 I purchased this product prior to going on vacation where I knew I would be spending a lot of time out in the sun and swimming in the salty ocean. Swimming and being out in the sun always takes a toll on my already fragile hair that is color treated. I wanted to do my best at protecting it while keeping the color from fading. This product seemed to do the trick for me! I applied it every day prior to venturing out into the sun and swimming in the ocean and then re-applied it after I swam and after I showered. It’s not a product that I actually “felt” working (like a good conditioner that you can instantly feel and notice your hair being softer from). However, I did notice it worked though because after vacation my hair color remained and my hair was not all dried out from the sun and salt. 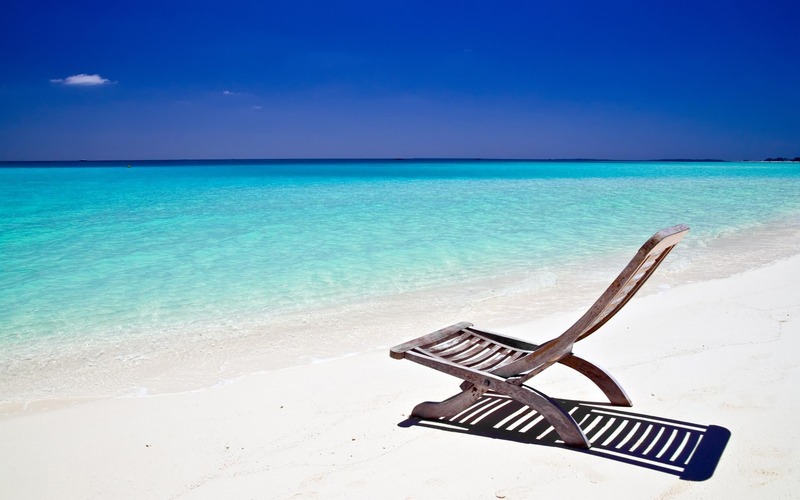 I still use this product even when I am not vacationing, swimming or spending a lot of time out in the sun. I find that adding a little bit to my hair on a regular basis acts as a styling product because it leaves it nice and smooth and shiny. 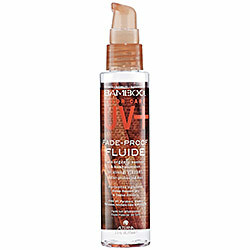 It’s also very lightweight and doesn’t leave my hair looking and feeling weighed down or greasy looking. For a 2.5 oz. bottle it’s $25.00 so it’s not the cheapest product out there but a little goes a long way and it really does work! I was going away on vacation and decided that rather than hauling a ton of individual brushes along with me that a brush set would be practical. I wasn’t worried about having a top of the line brush set because I was going to be spending a lot of time on the beach so I wasn’t worried about having perfect makeup and also didn’t want to spend a fortune on a brush set. So I found this set on good ol’ Sephora.com. 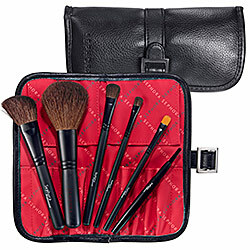 It features 6 essential brushes that are perfect for travel and comes with a buckle snap closure black case for $44.00. This set of brushes seemed to cover all the basics for me on a simple makeup day. I was pleased with the set when it arrived. It’s compact and isn’t too big or bulky. It snaps shut nicely and doesn’t bulge out so it’s great for travel and is also a great set to toss in your purse for touchups, etc. The only brush out of this set that I use on a daily basis is the blush brush because I still haven’t gotten around to getting a new one. I have noticed that with daily use, this brush is starting to show some wear and getting a little worn out. The bristles are starting to flare out a little and get a frizzy appearance. The concealer brush was a let down and I was looking forward to using that one. With each use, I started to notice that the bristles were moving further and further out from the brush. Then, they started to shed excessively to the point where I was left with next to no bristles and had to toss the brush all together. Aside from that issue and the blush brush getting worn out from daily wear, the case is still nice for travel. The other brushes are holding up well and are not shedding. I would say that this set is good strictly for travel only and doesn’t hold up well for day to day use over a long period of time.